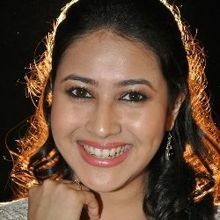 Panchi Bora is an Indian Television actress and model from Assam. She plays lead roles in the series Kayamath and Kitni Mast Hai Zindagi, before working in the Telugu film industry. Panhci Bora is from Assam. Her father is a retired army officer who settled in Pune after his retirement. She wanted to become a lawyer and enrolled at the ILS Law Colleges in Pune. During in Her first her in college, she appeared in commercial and television advertisement. She worked alongside her mother in a Tata Indicom commercial and got a break in a Cadbury advertisement. Ekta Kapoor head of Balaji Telefilms saw the advertisement and asked her to audition for Kitni Mast Hain Zindagi, first ever daily soap to be aired on MTV. 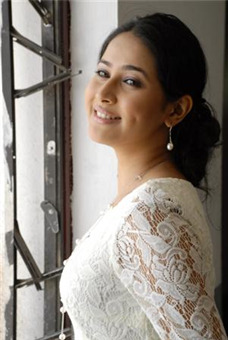 She played the lead role of Radio Jockey, Ananya Puri, One of the main leads in series. After Kitni Mast Hain Zindagi, she took a break and decided to complete her graduation. She quite her law studies and enrolled at the Fergusson College Pune, Where she pursued a Bachelor of Arts Degree. Ekta then approached her again for a role in Balaji Telefilms series Kayamath. Bora said that initially she was not interested in the role but that after Ekta Kapoor persisted and narrated the script to her, She took it up as she found it interesting. She played the central role of Prachi in Kayamath, who according to Bora was a simple girl very shy and attached to her family and unlike me in real Life. She received two Star Parivaar Awards nominations for the role in 2008. After Kayamath she had a break then she came back with Bid Aai also on Star Plus. In 2010 in Russia she was selected to play the female lead in an English Languages Russian TV Production titled The Hindu - The Indian. She played Maya, an Indian Girl, an Indian Girl, who she described as extremely Spiritual and shot for it in parts of North India and Moscow. She made her feature film debut in the 2011 Telugu film Akashame Haddu. About her performance in the film, The Hindu wrote, " Panchi Bora is gorgeous and slips easily into the role of a two timer". Why Book Panchi Bora Through ArtiseBooking?